This carrot cake is hands down the best vegan carrot cake ever! I have been told this by several people so it’s not just me tooting my own horn! I swear! And the best part about it is that the people who said this, were NOT VEGAN! Well, maybe it’s pretty obvious since most people have an instant adverse reaction to anything vegan, even just the word vegan get so many people in an uproar! So to hear great things about these recipes is just a feather in the hat ya know!? 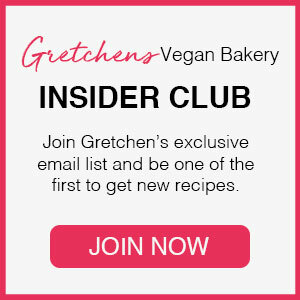 Whether you are vegan or not, you have finally found the best carrot cake recipe ever! Im very new to baking so if you could help me out I’d be grateful! In the recipe it said cakepans(plural), so do I use three cakepans for the three layers? Also what size cakepan do you use and how long is your cake in the oven? How do you know when the cake is done? Hi Welcome! Well you picked a great recipe to start out with! Yes to 3 pans, as I bake my layers separately. If you do not have the 7″ Pans as I am using here you can divide the batter between 2-8″ Pans instead but you will only have 2 layers of cake. Have fun with it! You are going to LOVE this recipe! Post to my facebook page when you are all finished! I figured out my issue XD. Cold brown sugar. I thought about it the other day and realized that had to be the issue. Sure enough it was!!! The sugar and the oil came together perfect. Someone stuck it in the fridge and being a home baker I should’ve known better. It tastes amazing and yes you were right 3 times the charm! i used 140g and i forgot to mix the sugar and oil first. instead i mixed the sugar with the flour and i think it made it too thick. i’m going to try again tomorrow! thanks so much for your quick response!!! awe! Ok! You will really love this recipe I promise! Oh no! this is terrible news. I know the recipe is correct because I have made it several times and also some of my friends have as well and LOVED it. Its possible the cake flour? Since making your own is primarily brad flour (which is a harder flour, and will definitely absorb more liquid in the recipe causing a drier batter) so perhaps it is that? Yes that’s correct. Interesting that your oil wont mix in? That’s odd, because I used to use canola for all my recipes before I decided to go with the coconut oil more recently. Definitely double check your measures and see about getting the cake flour. Im sorry you’ve had so much trouble, but you are right in that mistakes are the best teachers, however Im not so sure you are making any mistakes! 3rd times a charm?? Keep me posted! 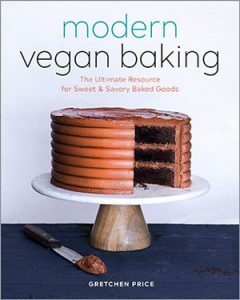 After the wedding I haven’t baked as much (it comes and goes in phases), but to come back to your channel and see that you veganize your recipes and share them with us… I can’t tell you how delighted I am! I am going to bake this cake right now! awe Hi Thanks! Im so glad you’re back! Hello, I do love this carrot cake but my favorite is the other recipe with brown sugar I think you called it tropical carrot cake, is that recipe no longer available?? for as long as I can afford to keep that website up! Since I saw this recipe I knew I had to make it, but I do not have cake flour right now. Will there be a big difference if I do not use the cake flour and instead use the regular flour? or maybe DIY cake flour? Today I made the recipe and really it is incredibly good, delicious! but I do not know if I got the right texture, my carrot cake was dense and slightly wet, looks different from the recipe photo. To bake it I used mini loaf pans, and bake it for 37 minutes. Maybe I needed to cook it more? Hi Melissa! It’s hard to say exactly what could be the problem, as you speculate maybe longer baking would help, but also slight measurement discrepancies could also be the culprit. I always want folks to weigh ingredients with a scale rather than with cups CLICK HERE FOR MORE since that can always cause a recipe to be very different than intended.